Around 45% of the drink cans sold are used outside the home. 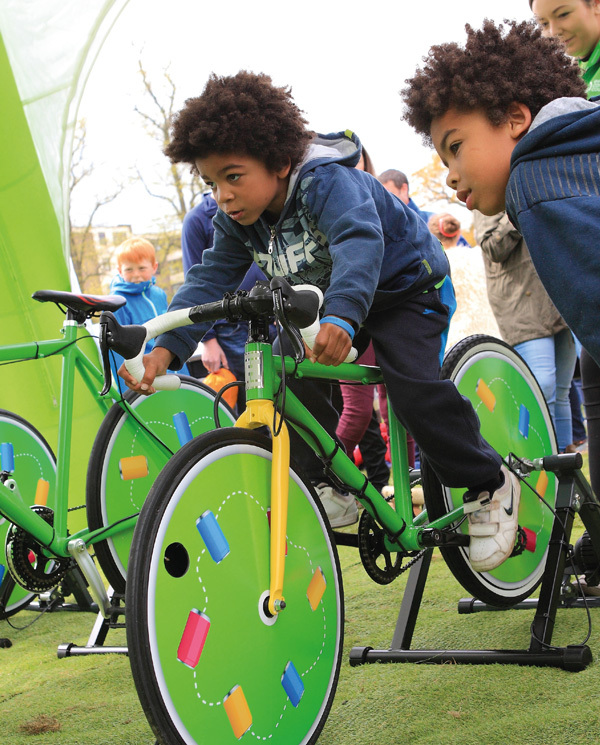 Every Can Counts aims to make it easier for people to recycle these cans by helping businesses and their waste and facilities management partners to communicate the benefit of recycling and motivate consumers to do the ‘right thing’ with their cans. The programme provides practical advice and support to businesses wanting to start, or improve their, recycling. This support includes providing free collection containers and promotional materials, through to help finding a recycling contractor. 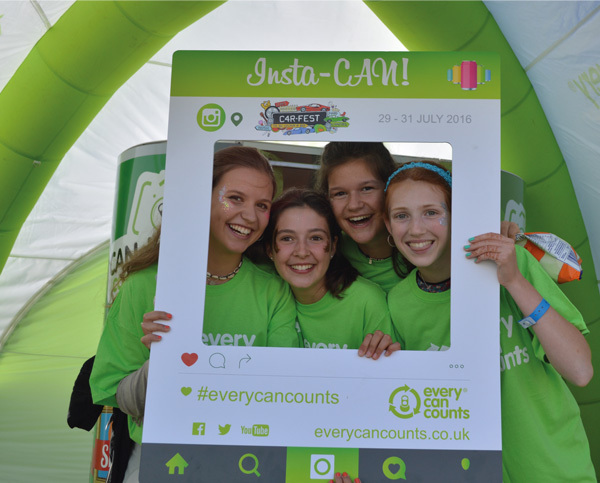 In addition Every Can Counts runs awareness campaigns at major events, encouraging consumers to think about recycling whilst they have a can in their hand. Any organisation can take part. Whether you have 2 staff or 2,000 the programme can be tailored to your needs. We work with offices, supermarkets, schools, manufacturing sites, and shopping centres – to name just a few! It’s free to join. Just sign up using our online registration form. A ready-made tool kit to start recycling your cans. We can provide collection containers and marketing materials to launch a new programme or help you refresh an existing recycling scheme. Once registered you will receive a starter pack containing collection boxes, sacks and posters. Free online communications resources to help you to communicate with staff/customers/students. These are available to download from our website. Help to find a collection partner. If you don’t currently have a can recycling programme we can help you to find a suitable local collector or we can work with your existing contractor to ensure the cans you collect are put back into the recycling loop. Just call us on 01 431 9256. The ISO:14001 standard exists to help organisations minimise their effect on the environment, so setting up a waste recycling programme such as Every Can Counts would be a really positive step towards your business achieving this accreditation. 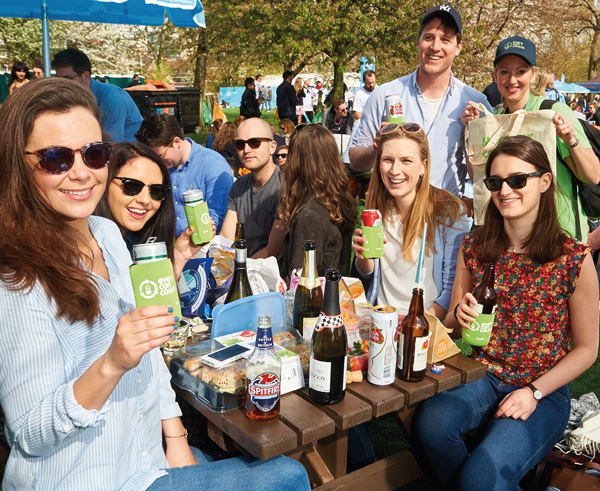 And it’s not just about cans: many businesses find that introducing Every Can Counts in their organisation leads to a greater awareness of recycling of all materials and increases staff participation in existing recycling programmes. To date we have signed up thousands of organisations to the programme across Europe, and you could join them! Since the programme began we’ve made it easier for consumers to recycle drink cans and make a difference to environmental change. 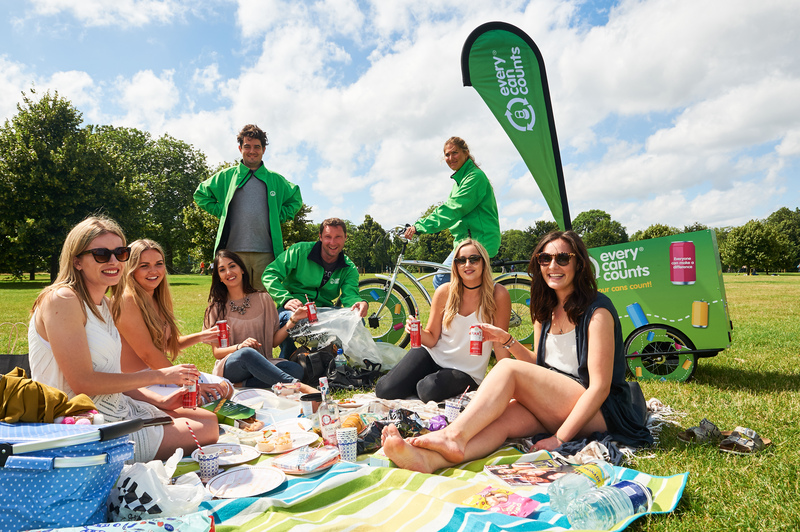 Every Can Counts has successfully established itself as the umbrella brand for promoting drink can recycling outside the home, with programmes running in the UK, France, Austria, Hungary, Romania, Montenegro, Spain, Greece, Poland, Belgium, Netherlands, and at home here in Ireland.